Brussels – Europe has done it again. Despite French President’s Emmanuel Macron’s reluctance to give the UK a long Brexit extension, the EU leaders have agreed the apparently interminable process can be delayed until October 31, with a school report on Britain’s behavior in June. And while everyone is focusing on that Halloween deadline, it’s really the June date that’s the more significant. 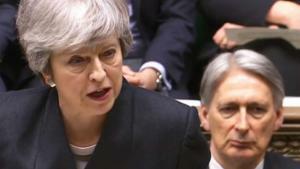 Just three weeks ago, May told lawmakers in the House of Commons that she could not “as Prime Minister” delay Britain’s departure from the European Union beyond June 30. After that, Britain would be obliged to send representatives to the European Parliament, where a new session begins on July 1. If May can’t get her Withdrawal Agreement, battered and bruised, through the House of Commons in time to put a stop to those European elections and hustle the UK out of the EU by the end of June, everything will be back in play. Theresa May, remember, staked her premiership on delivering Brexit within the original two-year timetable of the Article 50 process — March 29. If it’s not done by the summer, something will have to give. It almost doesn’t matter what that is — a cross-party deal that allows a Brexit deal to get through the House of Commons, a second referendum to break the deadlock, a general election that finally sees off May. What’s clear is that European leaders are done with the current impasse where the UK can’t get its act together to leave, yet the EU is unwilling to force it out. The fact that Brexit was not delivered by the original Article 50 deadline has done something to the psychology of British politics. Here in Brussels, where they watch the action back in London closely, there is open talk that Brexit is on the verge of evaporating. The sentiment is not hard to understand — the UK has, after all this time, demonstrated no clear plan for delivering Brexit. And once you miss one deadline, missing a second becomes less of an issue. And if you miss a third, then is there any point of having deadlines at all? If nothing else, this latest extension gives the UK a bit of breathing space to regroup and work out if it can find a way forward — while maintaining a sense of urgency. In that sense, it’s rather clever. While October is later than the UK asked for, the fact that a mention of June 30 remains in the final deal reminds everyone that the more existential questions concerning the future of the UK’s relationship with Europe must be answered — and soon. Either the UK is out, with a deal, on June 30. Or it’s in the EU as a full member until at least October. By that time, the referendum result — a narrow victory of 52%-48% — will be three years old. And what if all manner of proposed alternatives fail to find a majority by then — customs union, Norway “plus” and all the rest? And what if the parliamentary arithmetic is still a mess — no overall majority for any party and no prospect of getting any controversial legislation through on any matter, let alone Brexit? Only a fool tries to predict how things will ultimately play out. But if the UK is still a member state on July 1, 2019, then it’s no stretch of the imagination to see the whole thing being thrown out and taken back to square one. That could mean a new Prime Minister, a new direction for Britain post-Brexit, a resurgence of support for no deal, or even the scrapping of Brexit altogether. At that point it will be hard not to ask the question: What on earth has all this been for?